We’ve reached every continent except Antarctica… so far! Christian web design… Your new website created the way you’ve always imagined! We're ready to help you reach the world... Get started today! EXceptional flyer designs for Christian ministries, churches, & businesses! We'll take your event to the next level! Let's rock this! You’ve written a best seller… now wrap it in a masterpiece book cover design! We'll bring your vision to life! Get started today! Exodus Design is dedicated to delivering vibrant, inspirational, award winning, web and graphic design masterpieces to our clients. We have been serving Christian churches, ministries, non-profits, businesses, and individuals throughout the U.S. and around the world on six continents since 1998. As one of the forerunners of Christian web design and graphic design companies on the internet, we are blessed to have the opportunity to offer our services to you. 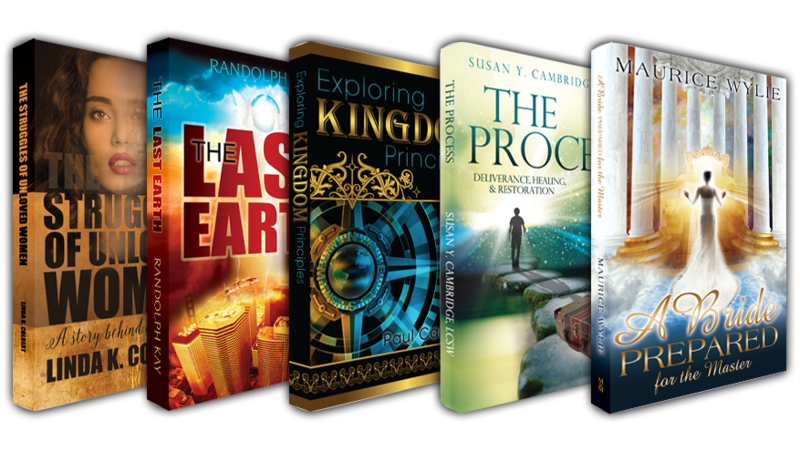 Whether you’re looking for Christian Web Design or Graphic Design for logos, book covers, CD covers, brochures, flyers or a full marketing package, we’ll deliver an EXtraordinary finished product. Our web programmers and graphic designers are Christian artists with degrees and years of EXperience. More importantly, we have an overwhelming passion to serve the King of Kings and you with our best creative gifts. EXceptional Web Design & Pricing Sets Us Apart! As a Christian based web design company, we realize that many churches, ministries, and businesses have tight budgets, yet still desire an outstanding website to represent them to the world. We’ll get your website online with a custom design, like you’ve always imagined, for only $795. That includes your domain name and hosting FREE for the first year, then just $14.99/mo. PLUS we’ll help you get set up with social media. We’ll also take care of the SEO so people will find your listing on search engines like Google™ in the city or location you’re trying to reach. All of our websites are programmed in mobile friendly, responsive layouts that adapt for viewing in cell phones, tablets, laptops or desktop viewing. Your new website will come with CMS – a content management system so you can update your text, photos, media, and add new pages. Even after your new website is online, we’re here to assist as your online presence grows. Our graphic designers BELIEVE in giving you the EXtra touches that really make your experience with Exodus Design something you’ll want to share with others. We don’t nickel and dime for the small things – our design services are all-inclusive! All of our web and graphic designs include premium hand selected stock photography and changes until you love your new design. We always go the extra mile to bring your vision to life! Celebrating 21 Years of EXceptional Award Winning Christian Web & Graphic Design! Exodus Design provides excellent service, stunning creative design and far exceeded my expectations for a web design company. They have created flyers, logos and designed my website. They are always willing to do whatever it takes to make their clients happy. My business operates smoothly thanks to their expertise. Thank you for being so wonderful Exodus Design! Exodus Design did a beautiful website & book cover for me!!! For awhile I had thought about creating my own website, but I’m glad that I didn’t. Get professional help from Exodus Design. My website is professional, clean, and stunning! I am so in love with this company. They have created amazing products for B.Y.SmithWrites. Their passion for making sure their clients are happy is wonderful. When I was confused and unsure, they were very patient. They gave good advice to help me grow the vision God has given me. Thanks Exodus! Discover the EXceptional web & graphic design you’ve been looking for!